You may not know her yet, but get ready to see her on the big screen. 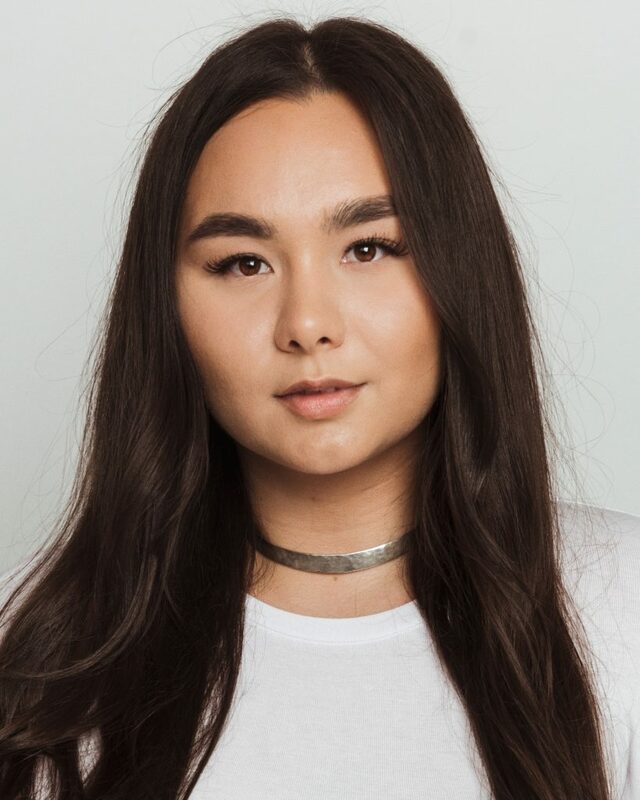 Meet Isabella Lablanc, a Sisseton Wahpeton Dakota actress who joined the movement of getting positive Native American representation in Hollywood. Read on to learn why she makes us proud. She was just like us. A young rez kid who watched tv and wouldn’t be able to connect with the characters on our favorite shows and movies because we didn’t look like them. Yet, we were raised on Native American -directed and -produced films such as Smoke Signals and Dreamkeeper. However, the little representation of Native Americans in the film was what inspired Lablanc to pursue acting. From the young age of 8, she’s starred alongside fellow Native American actors who were apart of her motivation. Now, Lablanc joined the movement of getting real Native American representation in Hollywood in a big way. Native Max: Where do you call home? Isabella Lablanc: I was born and raised in St. Paul, Minnesota. I’m a city girl who loves her rez and the people on it, so home is wherever my family is. When did you first start to act? Where did the interest come from? I began acting when I was eight, and really, it feels like it all happened by accident. A local children’s theater was auditioning for a show that had a Native part, as soon as I heard, I had my dad sign me up. I was cast, and the rest is history, I haven’t stopped since. What were some of your first gigs? 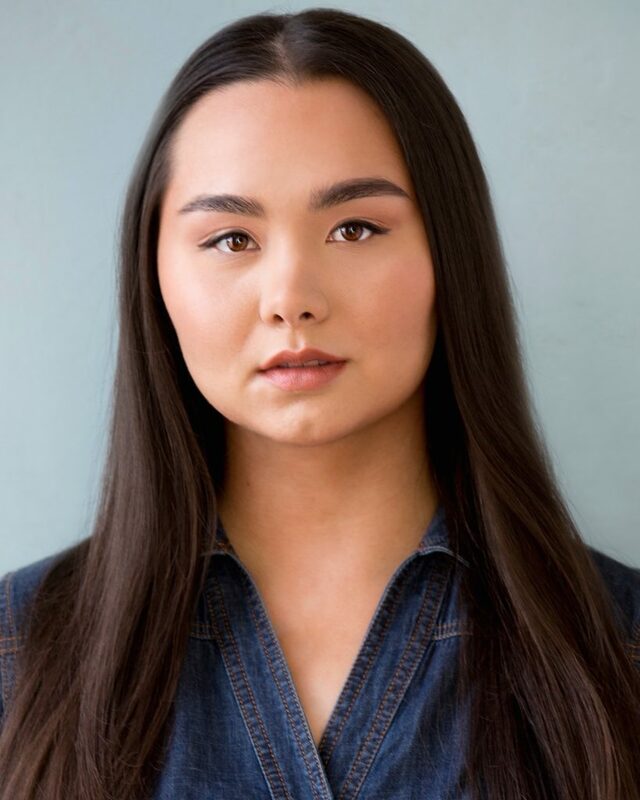 I feel incredibly lucky that from the beginning, I’ve had the opportunity to explore a diverse range of roles- one of my favorites being originating the role of “Rainbow Crow” in the musical adaptation of the Lenape legend of the same name, by the incredible Navajo playwright Rhiana Yazzie. For my first time on-camera, I had a tiny part in William Eigen’s feature film The Jingle Dress starring Chaske Spencer, Kimberly Norris Guerrero, and Stacey Thunder. Our people are incredibly resilient, and we have no shortage of role models within our histories and communities. Did seeing the lack of representation or positive representation of Native people on TV and in films motivate you to act? I think so. I think what drew me to the stage was that it was a place I could demand attention and be seen, and that wasn’t something I saw represented elsewhere as things a little Native kid should be. But I think just as much as I was motivated by the lack of representation, I was equally inspired by the little positive representation I did see. I was raised on the movie Smoke Signals as well as Skins, Powwow Highway, and Dreamkeeper. Adam Beach, Irene Bedard and Eddie Spears were probably the first actors I knew by name. Looking back now on how important those indigenous roles models where for me, I am very aware that my work could potentially do that for other kids, that’s a huge motivator. In previous years, the CBS network has been called out for not being diverse enough with the actors of their shows, which is why they created Drama Diversity Casting Initiative. How did you get involved with this initiative? I give a huge amount of credit to CBS for creating this program. They took time to listen to criticism and then committed to changing. Part of that change was to develop the Drama Diversity Casting Initiative. The goal of the initiative was to find actors from markets outside of LA and New York. I heard about DDCI online. I operate on a “you take every shot” mentality, so even though it was a nationwide call and I didn’t expect to be chosen, I submitted and eventually was selected. What are your roles and responsibilities of being a part of it? Being part of DDCI has been incredible. CBS has given me a foot-in-the-door in an industry where so many hardworking actors are struggling for just that; it’s now my responsibility to take this boost and run with it. They’ve started me on a marathon, not a sprint, and it’s my job to work hard, stay focused and have a little faith. Do you think CBS is setting an example for what other major networks should do? Why? One of the most exciting things about CBS’s Drama Diversity Casting Initiative is that it is part of a much larger, industry-wide, push for this work. I feel fortunate that I’m beginning my adult career during a time when we’re talking about diversity. I think everyone is starting to get the memo that there’s no excuse not to be doing this work, it’s long overdue, and viewers are ready to see faces that reflect the world they live in. Oh man. Honestly, I have no idea. Things have been moving so fast since I was selected for DDCI that I have trouble knowing where I’ll be five months down the road. But if in five years I am still getting to do this work in any capacity, I’ll be thrilled. We’re so glad and proud to see you on this journey of bringing positive representation of Native people to Hollywood. What’s your motivation? Thank you! That means a lot to me, and my motivation does come from my community, including all the Native people that read this magazine. Acting makes me happy. I’m at my best when I’m doing this work, and I want nothing more than to lead by example and show other Native kids that they should always do what brings them joy, no matter how scary or impractical it seems. I think in the Native community we put a lot of pressure on ourselves to make choices that will help our people when in reality the most impactful thing we can give our community is our happiness. What is your advice to a Native youth who watches but doesn’t connect to some of the non-native actors in their favorite movie? My advice is that we have to look to ourselves. Our people are incredibly resilient, and we have no shortage of role models within our histories and communities. For whatever reason, Hollywood hasn’t embraced these stories as much as we would have liked, but we don’t have to wait for Hollywood to find strength in our people and ourselves. Follow Isabella on her journey to making it in Hollywood on Instagram at @isabella_lablanc.